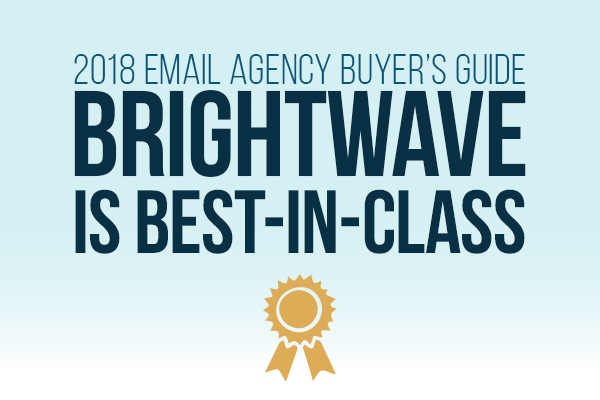 BrightWave announced today it was named a leader among email marketing agencies by The Relevancy Group in its fourth annual Email Agency Buyer’s Guide, cited for its best-in-class capabilities. BrightWave achieved the highest scores in the Relevancy Ring Scorecard data and Client Satisfaction Awards, taking home the most medals. The agency was called out for its tech agnostic approach with the deepest relationships in the industry. In fact, BrightWave has official 21 partnerships, three times higher than the next competitor, showcasing BrightWave’s deep and wide roster that provides its clients with the right solution. The Relevancy Group noted “the modern email marketing agency is adapting to customer-centric experiences and embracing digital transformation.” They defined the following attributes which make up the capabilities of the modern email marketing agency: Data Driven, Experience Focused, Digital Transformation, Measurement Obsessed, Strategic Optimization. BrightWave showed itself to be better positioned to take advantage of these changing needs for its core customer base, which is the data-driven enterprise marketer. The report awarded BrightWave perfect scores in Strategy and Data Management. The agency was given the highest Satisfaction Awards for Strategic Services, Deliverability and Account Management and won the Silver Medals for Analytical Services, Creative Services and Educational Resources. 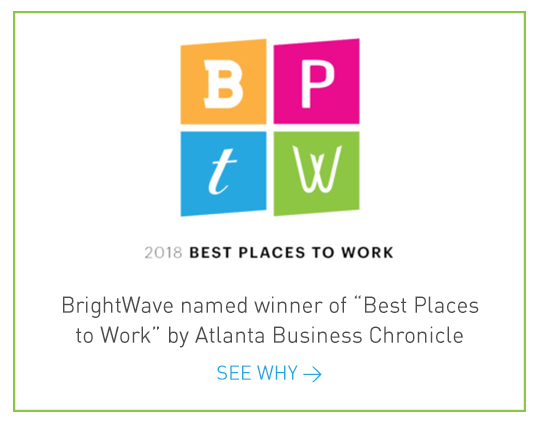 BrightWave continues to scale its offering and growth by investing in its team and culture, making it one of Atlanta’s best places to work (as recognized by The Atlanta Business Chronicle this year), which the Relevancy Group noted. The report also called BrightWave out for being an independent thought leader and noted the importance of BrightWave created events like EiQ, Email Spotlight and Rising Tide. BrightWave continues to lead the industry on this front, taking a proactive move to shift the conversation to innovation and performance. BrightWave historically has had a strong record of successful relationships with leading brands in the financial services and healthcare industries. “As BrightWave moves further into the Healthcare and Financial Services markets, they are readying their SOC 2 Audits. SOC 2 is necessary to demonstrate enterprise data privacy requirements,” the report noted. BrightWave has been a leader in privacy, data and international compliance issues and continues to be a critical business advisor on these fronts to some of the world’s leading brands.